On January 8, 2005, a huge cyclone as strong as a Category 1 hurricane hit Sweden and Denmark. Its name was Gudrun and it blew at sustained speeds of 126km/h with wind gusts of 165km/h. It killed 22 people and struck down 75 million cubic metres of trees. How much is 75 million cubic metres of trees? I have no idea but, to give you an idea, you are looking at only one million cubic metres in this image. This is Byholma, the storage area where the Swedish government created to process all this mess. 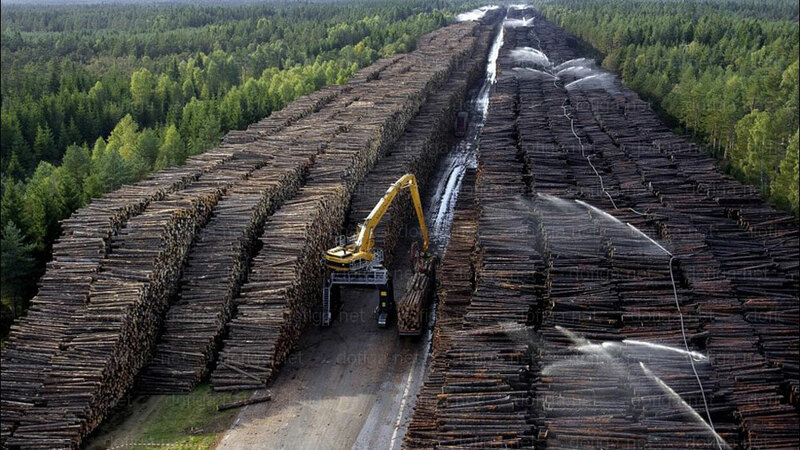 Back in 2005 it became the world's largest timber storage and it's still working today. Imagine 75 of these put together. It's staggering.